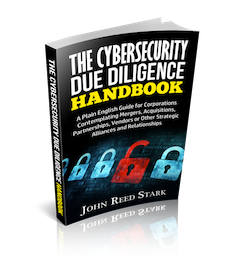 While to date there has been relatively few reported cases involving cyber insurance coverage disputes, there has been much litigation surrounding whether traditional insurance policies will respond to cyber-related claims. Although there are some outlier cases finding coverage under a CGL policy for some forms of cyber-risk (Eyeblaster, Inc. vs. Federal Insurance Co., 613 F.3d 797 (8th Cir. 2010)), the majority view is that CGL policies ordinarily do not provide coverage for cyber-related risks. As the court held in American Online vs St. Paul Mercury Insurance Company, 347 F. 3d 89 (4th Cir. 2003), a CGL policy “does not cover the loss of instructions to configure the switches or the loss of data stored magnetically. These instructions, data and information are abstract and intangible, and damage to them is not physical damage to tangible property”. via Guest Post: Courts Wrestle With Coverage for Cyber-Related Claims | The D&O Diary.